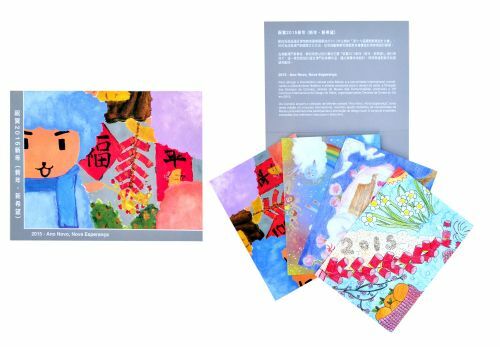 Postcards "New Year Greetings of the year 2015 (New Year, New Hope)"
Macao Post will launch two collections of postcards “New Year Greetings of the year 2015 (New Year, New Hope)”. The theme came from the 19th International Design Stamp Contest organized by Korea Post in 2013. 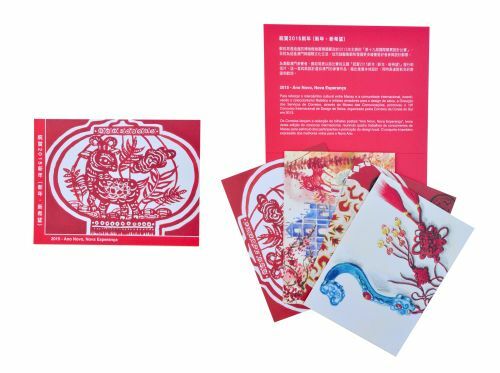 These collections, consisting of 8 selected entries from Macao, are divided into two sets of 4 postcards each. This issue acts as a promotion of local design as well as to convey the best wishes of joy for the New Year to the corners of the world. The postcards will be available for sale on 8th January 2015, priced at MOP32.00 per set. It will be available for sale at the Macao Post Headquarters and all post offices.